The Patuxent Wine Trail Goes Local! On the weekend of October 23 & 24, each winery along the Patuxent Wine Trail will feature local products from Southern Maryland vendors. 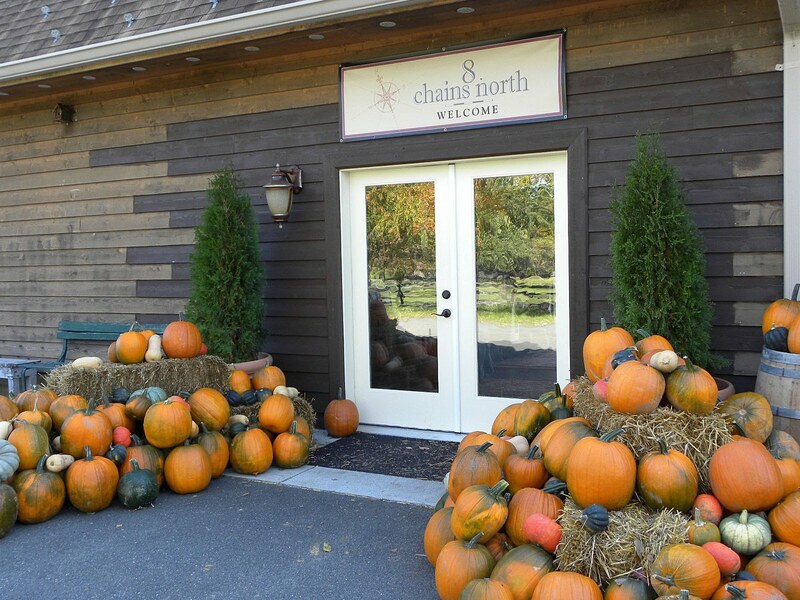 Visit the wineries from 12 pm until 4 pm to try and buy these local products. Heavenly Chicken Catering, menu to include local produce items. and Just in Time Antiques. We followed Day 1 in Nelson County by started Day 2 by hitting three wineries located on the north end of Route 101. We had a scheduled appointment to film an episode of MyJoogTV at Devil's Backbone Brewing Company at 1:00 PM, and fortunately we were able to start the day off early since Afton Mountain Vineyards accommodated our schedule by opening at 10:00 AM. And we were not the only visitors that early. 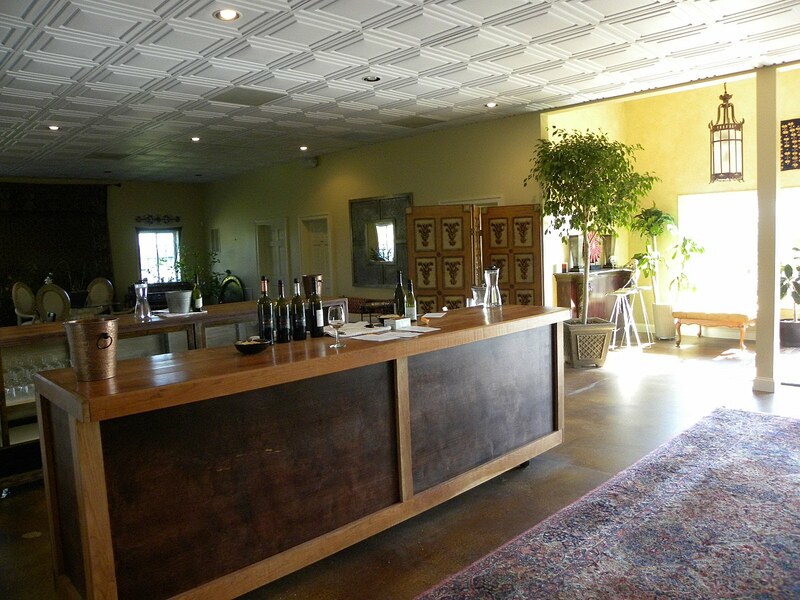 This winery is the second oldest in the county and is currently owned and operated by Elizabeth and Tony Smith. Upon acquiring the enterprise, the Smith family relocated the tasting facility to the former's owner's residence - providing an expansive view of the valley below. Almost all the grapes are estate grown and with the estate's long history, they have been able to test and cultivate several non-traditional Virginia grapes: Pinot Noir, Sangiovese, Gewurztraminer and Muscat. During a tasting there are two alternative routes, a regular or reserve tasting. We chose the Reserve tasting we allowed us to enjoy a sparkler to start the day - the 2006 Tete' de Cuvee - a traditional blend of Pinot Noir and Chardonnay disgorged after aging two years on its lees. This was followed by their Estate Chardonnay and a single varietal Pinot Noir that is only produced in years when yields can accommodate both the sparkling and still wines. Single varietals Sangiovese and Cabernet Sauvignon followed - although the cab includes some Merlot. 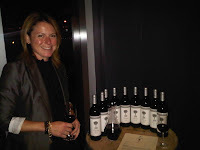 The finale was the Super-Tuscan 2008 Festa di Bacco comprised of Sangiovese, Cabernet Sauvignon, and Petit Verdot. This wine is the bomb and shows why we seem to prefer blends over single varietals. There are plenty of tannins from the Cab and PV; but the majority Sangiovese provides enough smooth red cherry flavor to make this one drinkable now. 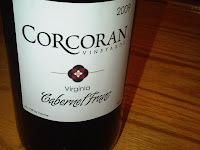 If its not included in our October 25th tasting of Monticello Wines - I'm bringing a bottle with me. After a short drive directly across Route 151 we arrived at Cardinal Point Vineyard & Winery, home to the wines of Tim Gorman. Before starting the winery in 2002, Gorman was an acknowledged grower in the region - sourcing grapes to several area wineries. This experience provided Cardinal Point with a clear advantage when opening - an established estate vineyard. Combined with several interesting blends, this may become one of our favorite destinations. We started off with the Cabernet Franc based Rosé, followed by several other easy drinking whites: The 2008 A6, 2008 Barrel Select Chardonnay, 2009 Viognier, and 2009 Quattro. The common ingredient to most of these wines was Viognier - which showcases this grapes versatility from the dry single varietal to the semi-dry Quattro. These are the type of wines you want to keep stocked in the cellar to bring out on any occasion. The reds were just as good. The Rockfish Red is an easy drinking light-bodied Cabernet Franc. The Cab F. + Vio. (yes that's the actual name of the wine) is an interesting concoction since the Cabernet Franc and Viognier are co-fermented; not blended. This means that the grapes were dumped together and fermented instead of the traditional approach of fermenting and aging the varietal separately and then tasting different percentage of each to craft a blend. 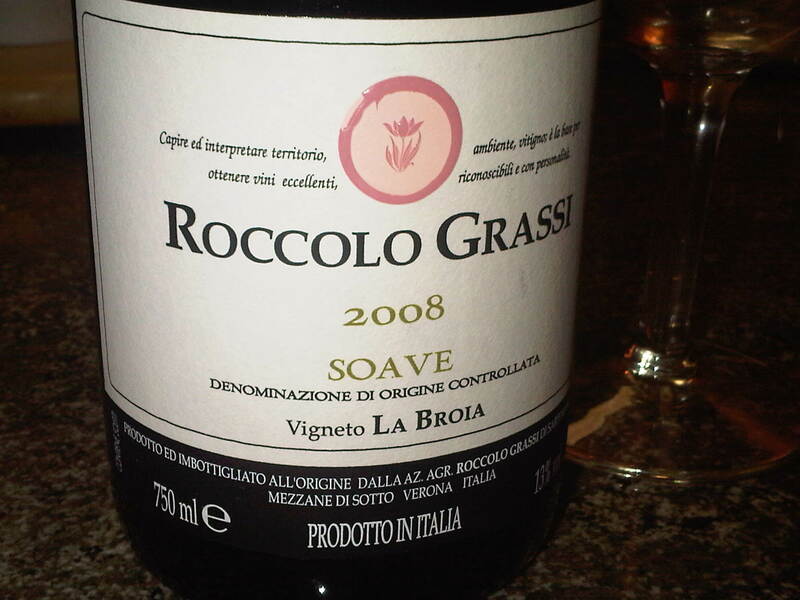 The result is an incredibly smooth and drinkable wine. 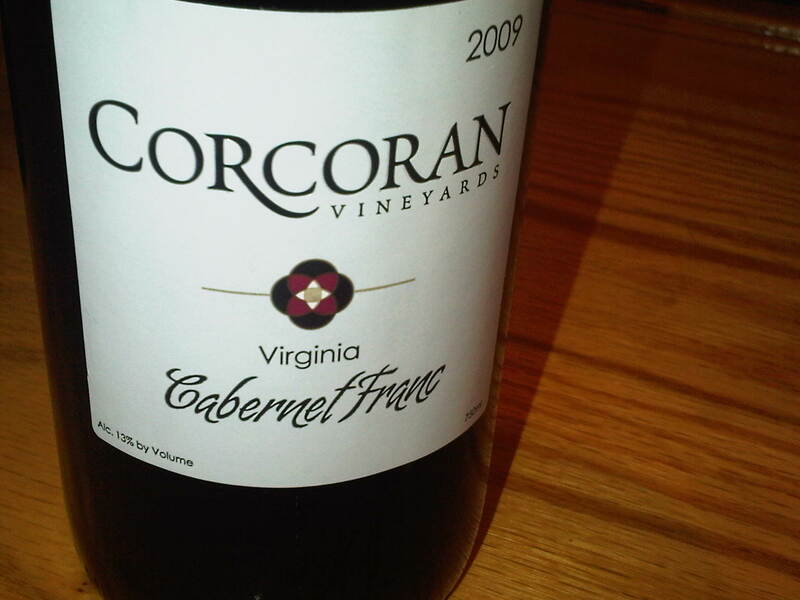 The vineyard designate Clay Hill Cabernet Franc followed which comes from the vineyard located near Ivy in which Gorman helped plant the vines. 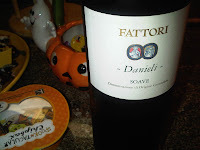 This is a full bodied wine and was my favorite until trying the CS+PV+CF - yes another screwy name. This is a master Bordeaux blend, on the one hand fruity, but also earthy and peppery - plus plenty if tannins for aging. That's what ours is doing. And their Oyster Roast scheduled for November 13th & 14th looks very enticing. By this time we were running very close to our scheduled appointment at DBCC, but chose to stop off at the tasting facility for Flying Fox Vineyard since it as right off the road. The estate is located closer to Afton Mountain Vineyards with some wine made from grapes grown at a family vineyard (Ridge Run Vineyard) in Stuarts Draft - near Stanton. Two wines made from this vineyard's grapes were very good, the single varietal Viognier and Cabernet Franc. This is another example how these two grape varieties excel in most corners of the state. 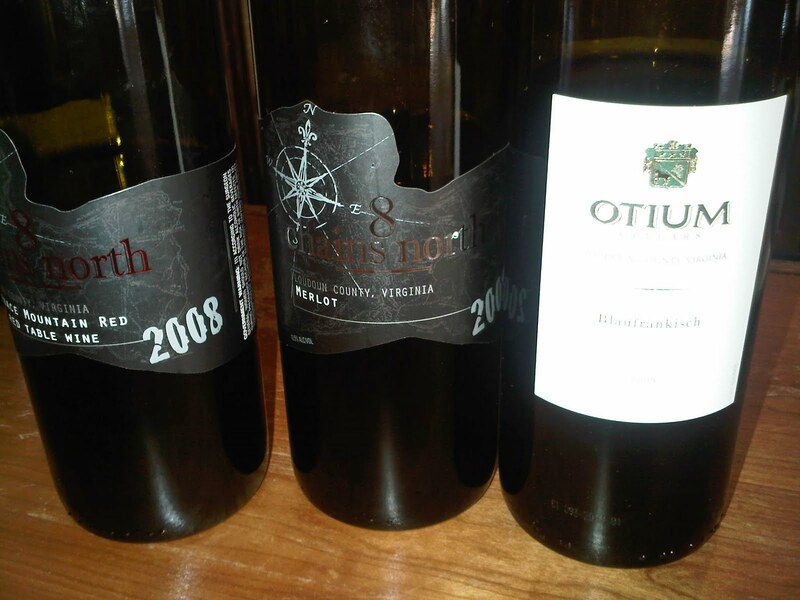 Our favorite however, was easily the Trio, their Bordeaux blend of Merlot, Cabernet Franc, and Petit Verdot. Balanced, texture, tannins for aging - this wine is the complete package. 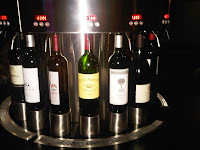 Maybe we will forget about aging and taste along with the super blends accumulated from the previous visits. Now that would be a tasting event. We had to rush out in order to meet Travis Book of The Infamous Stringdusters, his wife Sarah Siskind, and DBBC's brewer Jason Oliver for an episode of MyJoogTV. This also allowed us to sample the beers from the Devil's Backbone Brewing Company - many that were awarded medals at the 2009 & 2010 Great American Beer Festival as well as the 2010 World Beer Competition. For our tasting we started with the Gold Leaf Lager, which could be Oliver's most prized brew. Why, because in a lighter style lager and there is nothing to hide mistakes - it is what it is. he must be doing something right since it repeated this year as a Gold Medal winner at the GABF. Next was the beer of the weekend, The Stringduster, made specifically for The Festy. Most musicians aspire for fame and Grammys, but not many can claim a beer brewed in their honor. This beer is a harvest styled ale combining barley and wheat malt with flaked oats. The beauty with this beer is that it really does pair well with music. Sometimes festival beers are too hoppy or too malty for the heat of the day - this one has the perfect balance. We finished with the gold winning Baltic Coffee which combines the Danzig Baltic Porter and locally roasted coffee beans. However, the beer exudes just a hint of the coffee which meshed well with the chocolate overtones of the porter. I had to return later in the day for another one of these - and next time I'm bringing a growler. DBBC provides several other styles - so there is something for everyone and although we didn't indulge - the locals inform us the food is really good. We will be back. This weekend showed why Nelson County is becoming our favorite Virginia destination. Next time we will venture further south into Lovingston to visit Democracy Vineyards, Lovingston Winery, and return to Virginia's oldest continually operated winery, Mountain Cove Vineyards. Plus there's the new Virginia Distillery Company that will be producing Scottish styled single malts sometime in 2011. There is something in the water down there. And thanks again to the Acorn Inn for the hospitality and for promptly mailing my cell phone charger. As usual, more pictures are available at the WineCompass Gallery. The weekend of October 9th-10th was a very entertaining weekend. We had planned to attend the inaugural music festival, The Festy, held at the fairgrounds at Devil's Backbone Brewing Company. At this event we filmed most of the performers, particularly Travis Book of The Infamous Stringdusters, his wife Sarah Siskind, and DBBC's brewer Jason Oliver for an episode of MyJoogTV. But just as importantly, we used the visit as an excuse to soak in the wineries located in Nelson County Virginia. Of the dozen located in the county, we had visited Veritas Vineyards and Hill Top Berry Farm & Winery, previously, so concentrated on the remaining field. And what we learned is that this little stretch of land adjacent to Route 151 is a mini-Napa Valley - a true micro-climate providing excellent Virginia wine. 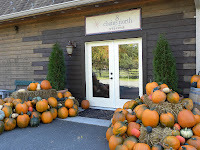 I started off with the closest winery to the festival fairgrounds, Wintergreen Winery. This is the oldest winery in the county, owned and operated by Jeff and Tamara Stone since 1999. We had enjoyed their Cabernet Franc and festival whites (The Thomas Nelson White and Three Ridges White) at previous festivals. The Cab Franc was just as nice as before, a lighter bodied wine with plenty of cherry, but it was their Merlot which was really nice. Maybe has a point. For whites, the Viognier was what you would expect from a Virginia winery now a days but I really enjoyed their use of Petit Mengseng, both as a 100% varietal in the new Thomas Nelson White and as a replacement to Vidal in the Three Ridges White. Much more aroma and flavor than Vidal. This is another white wine grape that appears to work in the state. While driving to check-in to our room at the Acorn Inn (highly recommended), I noticed a homebrew shop that advertised growlers for sale. Making a quick detour I learned that Mary Wolf and her son Danny Wolf were planning on opening the third brewery in the county, Wild Wolf Brewing Company. For the moment they provide local brewer's with quality homebrew supplies and will soon be selling growlers of their own production beer out of the store. The eventual plan is to build a full production facility nearby, complete with a brewpub. And to show how its done, every Saturday afternoon Danny gives a demonstration outside the store, complete with crushing the grain, boiling the mash, and kegging. Like I say, this area is a nice place to spend the weekend. We will be back for a brewery tour to include Wild Wolf, DBCC, and Blue Mountain Brewery. After checking into the hotel, I took a shortcut to the one winery not located off Route 151, DelFosse Vineyards & Winery. The winery was having their own party - live music and food - which also proves that there are plenty of opportunities for fun - even with a large music festival nearby. I didn't stay long since I had plans for interviews at The Festy, so I sampled a few wines, starting with their Viognier Reserve. This is a classic, full flavored (apricots) with low acidity and a mid palette to boost. Nicely done. They also pour a 100% Petit Manseng - note to self; need to start studying wines from Jurancon. This wine is more acidic than the Viognier and has a peach flavor - a nice afternoon wine. For reds, there is no need to talk about any other but the 2007 Grand Cru Olivier. This blend of Cabernet Sauvignon, Touriga, and Petit Verdot is full bodied, low tannins, raspberry flavors and very drinkable. Yes, their Meritage is the big guy; but I enjoyed this one more. After this visit, it was back to the music. Check back for Day 2 and few pictures at the WineCompass Gallery. Tom Wark, from Fermentation and lead voice on the effort to defeat HR 5034 sent us a link to a new source for wine consumers: American Wine Consumer Coalition. Their motto: The AWCC is a Coalition of Americans Giving Voice To the Unique Interests of Wine Consumers. JOIN THE MOVEMENT to raise the voice of wine lovers so politicians and policy makers hear you! If you are worried about government regulators, the new Temperance Movement, and Wholesalers restricting your access to hand crafted wine, beer, and spirits - join this organization. Like Argentinian wines? We do; who doesn't enjoy an Argentinian Malbec or Torrontes. Perhaps a Chardonnay ,Merlot, Cabernet Sauvignon or Tempranillo. Yes, plenty of old world wines made in the new world. If you answered Yes, then check out this contest over at WineSur. WineSur created this contest with the aim of spreading Argentinian wines through the web around the world. The idea is that Argentinian wineries present the story of their wines, telling something new, amusing and original in less than 100 words. For instance, how the wine arose, the origin of its name, its meaning, etc. These stories will be published in our website www.winesur.com and in our social networks (Facebook and Twitter). Moreover, the stories will be also spread by wine blogs, specialized journalists and media from all over the world. Readers themselves will vote the story they like most. Just send the story of your wine together with the picture of the bottle or label to valonso@areadelvino.com. Topiary Release Party. Rachel Martin, Executive Vice President, was on hand to pour the new release and explain how it differs from the previous vintage. 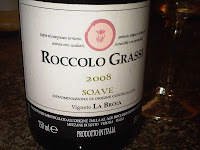 In brief, 2007 was hot and dry - thus allowing the vines to produce full flavor grapes; while 2008 was cooler and wetter, resulting in a more European style, earthy wine. The Topiary is made in the right bank Bordeaux style - thus a Cabernet Franc based wine and the 2008 vintage provides a greenish, peppery, food friendly wine. 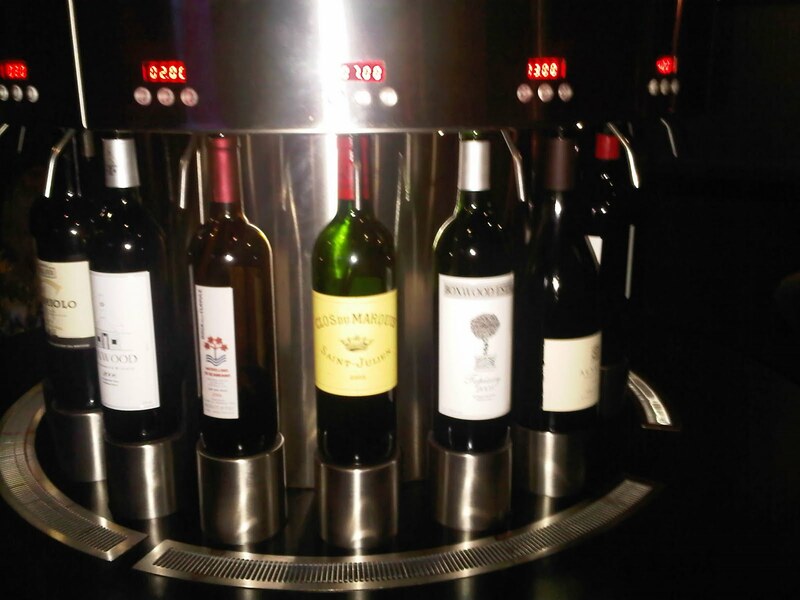 What's nice about the Boxwood tasting bar's is the enomatic system - where you can sample vertical tastings of the Topiary as well as Bordeaux wines crafted by wineries where Stephane Derenoncourt consults. Next weekend we are heading down to Nelson County for The Festy music festival - held at award winning brewery Devil's Backbone Brewing Company. In between we plan on visiting a few of the area's excellent wineries and the other brewery in the county: Blue Mountain Brewery. Let us know which wineries you suggest we visit. Utah Attorney General Mark Shurtleff testified before the House Judiciary Committee this week in support of HR5034 and it now surfaces that his testimony was drafted by the National Beer Wholesalers Association. How do we know? Check out this article by the Salt Lake Tribune. The electronic MS Word document he submitted unfortunately for him contained "ppisano” as the author. Who's "ppisano”. None other than Paul Pisano, general counsel for the National Beer Wholesalers Association. While Shurtleff is ranting that we need to minimize lawsuits or perhaps to "protect the children" by passing this law, he is just covering up his affiliation with the NBWA. And that begs the question, "why is a state Attorney General so close to a wholesaler organization"? Does Congress need anymore evidence that this legislation is just a power grab by wholesalers? Not when the wholesalers are dropping $10k into their campaign funds - regardless of party affiliation.